Bodega Dante Robino: Dante Robino Malbec �The Dante Robino Malbec shows the typical Malbec flavors: ripe red, e berries, plum and delicate vanilla notes. It is very fruity, soft and velvet, with mild tannins. 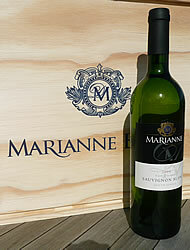 https://www.weinbaule.de/red-wine-argentiniachile-dante-robino-malbec-p-866.html?osCsid=41ab39c98427d31685a703462078a3e0"> Wine 9.49 7790717151128 WeinBaule.de | The Home of Wine Bodega Dante Robino New In stock!